Electrolube, global manufacturer of electro-chemicals recently experienced the new trends in adhesive demand in the market. The electro-chemicals manufacturer, who set up an extensive new manufacturing facility in Bangalore last year has reported new changes in market demand, based on the high frequency of enquiries from visitors in the recently concluded event in Bangalore. 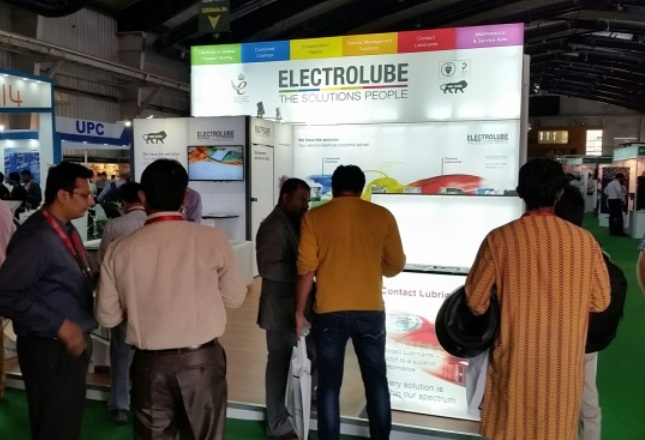 Electrolube’s prior experience has largely seen a major drive in visitor enquiries for LED and associated protection solutions. This was still very much the case at the event last week, however, the current enquiries demonstrated a strong marked shift in interest for automotive electronics protection solutions. The Indian auto industry is growing rapidly with several major car manufacturers investing heavily in various segments of the industry. This has also attracted Foreign Direct Investment (FDI) worth US$ 15.79 billion between 2000 and 2016, according to data released by Department of Industrial Policy and Promotion (DIPP). The Government of India is introducing some key initiatives to drive further growth and investment in the automotive industry. These initiatives include the introduction of a new Green Urban Transport Scheme aimed at boosting the growth of urban transport with a low carbon footprint to reduce pollution; plans to promote eco-friendly cars in the country and the formulation of a scheme for faster adoption and manufacturing of electric and hybrid vehicles in India, under the National Electric Mobility Mission 2020, to encourage the progressive induction of reliable, affordable and efficient electric and hybrid vehicles in the country. One of the Government of India’s aims is to make automotive manufacturing the main driver of the ‘Make in India’ initiative, as it expects the passenger vehicles market to triple to 9.4 million units by 2026, as highlighted in the Auto Mission Plan (AMP) 2016-26.